Long-term stability for nonprofits depend on wise investment and asset management strategies by nonprofit leaders, says Ventureneer. Wise investment is the foundation of a strong, healthy nonprofit organization. Because asset management is fundamental to long-term stability, nonprofit leaders should take an informed look at their organizations investment strategy and asset management plan. In a free webinar, Managing Assets and Investing for Nonprofit Leaders, Ventureneer offers nonprofit leaders and program managers will learn how to understand investment strategy, liquidity, and asset preservation. It will be held Tuesday, June 8, from 2 to 3 pm. ET. "Nonprofit leaders must understand investment strategy to ensure the long-term survival of their organizations," says Geri Stengel, founder of Ventureneer. This free webinar is designed for executive staff -- Executive Directors, CEOs, and CFOs -- as well as program managers and board members. Anyone responsible for managing an organization's money or working to increase organizational assets will benefit. The free webinar will be taught by Dana Skallman, District Leader of Primerica Financial Services. She is an entrepreneur focused on local economic development and community building through financial education. Dana works specifically with small organizations to ensure long-term stability and helps nonprofits find the best financial solutions to meet their needs. Assess the changes needed to ensure long-term financial stability. During the class, nonprofit leaders will go through sample asset-management scenarios that will give them the opportunity to solve real-life problems. The instructor will answer questions in this convenient, affordable update on asset management. The webinar gives participants the tools to re-evaluate and re-assess their nonprofit investment strategy. With the right investment plan, a nonprofit can continue to serve its community's needs for a long time to come. For more information or to enroll, to Ventureneer. 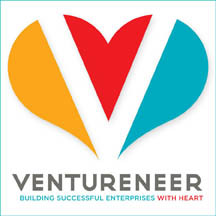 Ventureneer.com provides nonprofit and small business advice as well as entrepreneurial and nonprofit management training through a new approach to learning: a blend of traditional, formal instruction with informal, peer learning that takes advantage of Web 2.0 technology to capture and share knowledge. Ventureneer's customized blogs, virtual classes, peer-to-peer learning, coaching, web events, and articles help entrepreneurs make faster, better decisions for their enterprises.